In a remarkably short time, economic globalization has changed the world’s economic order, bringing with it new challenges and opportunities for innovation. In order for companies to compete in this new environment they must become more innovative and respond more effectively to consumers’ needs and preferences. The team at RCR possesses extraordinary skill sets for creating and deploying innovative green solutions. We have a longstanding tradition of producing breakthrough Cleantech solutions and have a wealth of creative people behind us. RCR has laid the foundations for the transformation of our old and outdated energy infrastructure into the new and renewable energy future. We are supplying some of largest markets in the world with innovative products, solutions and services on a large-scale commercial level. RCR is formulating, influencing and, where appropriate, working with many groups to aid in implementing new technologies, policies and programs to increase the world’s energy efficiency. RCR ensures that innovation is thoroughly understood by our customers and partners alike. Our approach is comprehensive, thereby contributing to greater economic stability, better competitiveness, real sustainability and more job creation. In the “Feasibility Studies” section of our website you’ll find various projects RCR has analyzed, supervised, investigated, integrated, developed, designed, assessed, characterized, problem-solved, evaluated, reviewed, upgraded, facilitated, expanded, converted, modeled, planned and built. 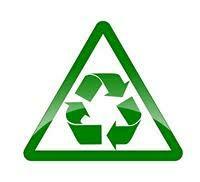 Providing innovative recycling solutions to the environmental challenges we face is what we live for! RCR © 2004 - 2019. All Rights Reserved. Worldwide.